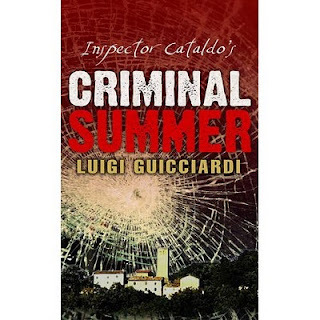 Luigi Guiccardi's Inspector Cataldo's Criminal Summer has just been released in English in the U.K. by Hersilia Press, with a translation by Iain Halliday. They've wisely chosen to start the series with the first book (unlike many other series in translation) and this novel augurs well for the series as a whole. It's told in a plain-spoken voice by a third-person omniscient narrator, with a straightforward writing style that's a pleasure to read. It's more of a puzzle mystery than noir, and something of a throwback to an era when the psychology of the characters was of more importance than any sympathy that a reader might feel for them. Cataldo himself is nicely characterized, particularly through his feelings about the "girl he left behind" in Sicily when he took up a post in the fictional small town of Guiglia (near Modena in Northern Italy). She not only refused to move with him, she dumped him when he accepted the transfer, setting up a dynamic between them and also with Cataldo's mother, who thought they were perfect for each other. The mystery at hand concerns a traffic accident from 18 years in the past, during which a man died and a considerable sum of money disappeared. 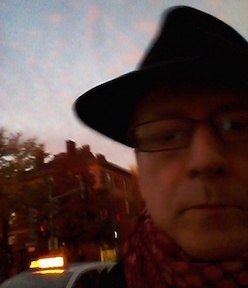 Now someone is reviving the memory of the crash, causing consternation among a circle of friends that includes two competing academics (one more succesful than the other), a real estate agent, a priest, and several others. There's a little academic satire in the story (especially between the two rivals with whom the novel begins), along with some insight into the particularities of the Italian university system (and Guicciardi is himself a historian, but like Cataldo was born in Sicily and ended up in the Modena area), but the action is actually confined to the small town and to Cataldo's interviews with the circle of friends. Cataldo does have an assistant, but he's a minor character: after the introductory chapters leading up to the first murder (and these chapters are very engaging in themselves), it's mostly Cataldo's ruminations, his interviews, and a few glimpses of the murders. Of the recent Italian crime novels I've read and reviewed here, Guiccardi's novel is the most distinctive, mining older traditions of mystery fiction in a very modern fashion. Something about the tone and style strikes me as being very European, turning away from the Anglo-American style of not only of recent authors writing in English about Italy but also some of the recent cinematic and hard-boiled crime writing in Italian. There are evidently a few other Italian crime writers making their English debuts in upcoming months, and Inspector Cataldo's first case augurs well for what is to follow. I have a copy of this book en route to me, and am looking forward to it. Glad to have that reinforced by your review! I am just now reading the next Andrea Camilleri, The Wings of the Sphinx, which is lovely - definitely one of the better Inspector Montalbanos (though they are all good!). Sounds good. Will add to the wish list. Thanks for the review.